You also should consider the effects that an inheritance may have on your beneficiaries. This is a legal document which is used to appoint someone to make financial, medical and personal decisions on your behalf if you were to become unable to make your own decisions, e.g. if you have failing cognitive health or lose capacity to make decisions. This may result of an accident or a slow general deterioration of someone’s capacity. Some people argue that an Enduring Power of Attorney is more important than a Will because you are still living at the time it may come into effect. We know the potential pitfalls, and will ask you all the right questions to make sure that you have considered every possibility. 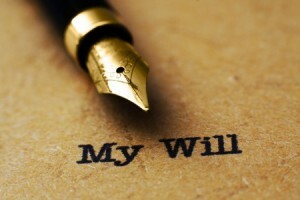 We can advise you as to whether you would be best with a Will or Enduring Power of Attorney. We can design your Will in such a way to help protect your family from expensive estate litigation after your death and we can safely store your Will and Enduring Power of Attorney in our secure vault.